NEW YORK (WABC) -- The holiday season is officially upon us, but not everyone is in the spirit. 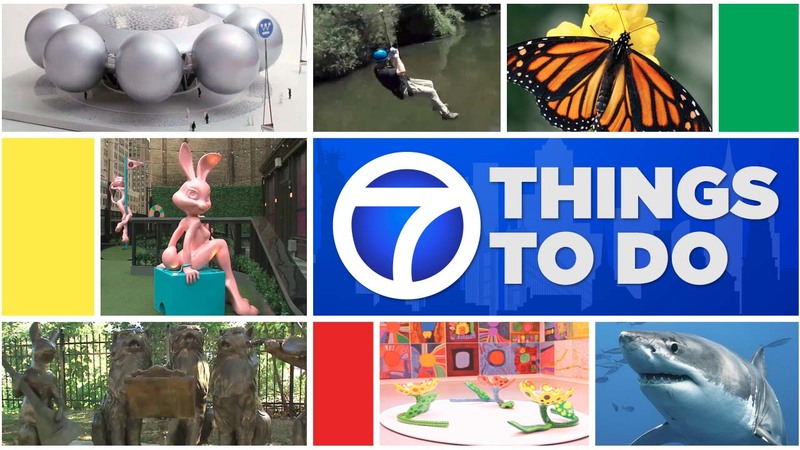 So if you're feeling bah humbug and looking for something to do besides cooking, eating or shopping, we've got a list of 7 things to do around NYC. Some are for adults only, while others can be fun for kids of all ages. 3. CHECK OUT THE WORLD'S MOST INSTAGRAMMABLE ART. Grab your selfie stick and get in line to see Yayoi Kusama's exhibitions, "Festival of Life" and "Infinity Nets." The "Festival of Life" exhibitions can be found at 525 and 533 West 19th Street in Chelsea and "Infinity Nets" at 34 East 69th Street on the Upper East Side. Inside the art that's totally "Instagrammable." 6. THE BUTTERFLIES ARE BACK! The American Museum of Natural History's Butterfly Conservatory returns for it's 20th year and features 500 butterflies. The cost of admission to the Museum and the Butterfly exhibit is $28 for adults, $22.50 for seniors and students, and $16.50 for children. 7. TOUR THE OLDEST PET CEMETERY. The Hartsdale Pet Cemetery is the oldest pet cemetery in the United States. Even celebrity pets are buried here. Visitors are encouraged to walk around the grounds. Take a tour of the oldest pet cemetery in the U.S. It's right here in New York.